I was introduced to Cosi O Cosi a few years ago by my cousin who had lived in Taipei for awhile before I had, and we shared the common dilemma of finding good places to eat. She knew I liked Italian and thought that I would enjoy the food at Cosi O Cosi, citing it as a popular place and I've been there quite a few times since. For awhile, it was the go-to Italian food craving destination for me, before I had discovered other places and the more convienent Macaroni Grill was opened. The menu has both English and Chinese, featuring limited appetizers/salads, and many pizzas and pastas, but no pictures. The prices are pretty reasonable at $260-$420 NT for pastas and pizzas. 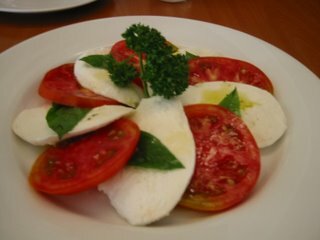 The tomato and mozzarella caprese features huge slices of mozz- and it tastes fresh and delicious. The order is generous for two people, and large enough to share with a group. 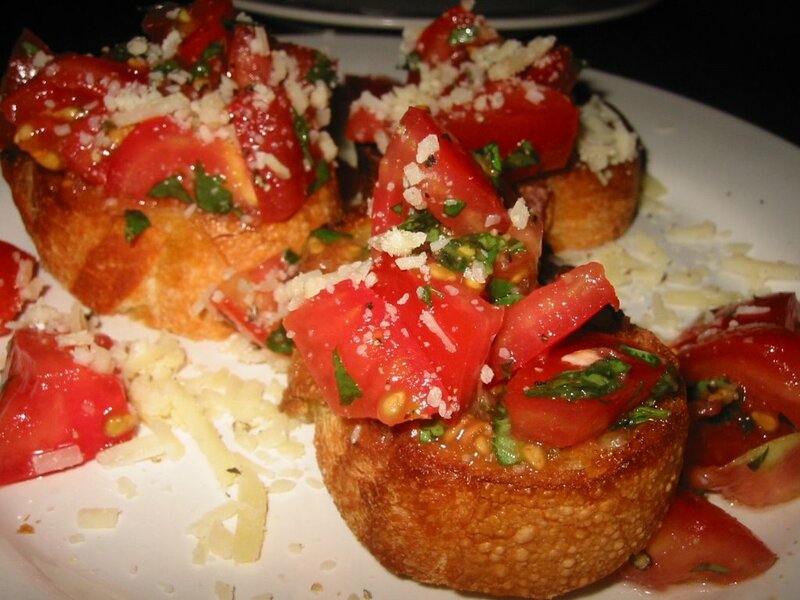 The crostini which features toasted slices of bread with bruschetta and pesto is also tasty. The fried mushrooms also piques my interest, however, picturing deep fried mushrooms in my mind, instead we get pan fried sauteed mushrooms. While I love mushrooms and I enjoy the different myriad of mushrooms featured, the gravy like sauce is not quite I was craving and a tad salty for me as well. 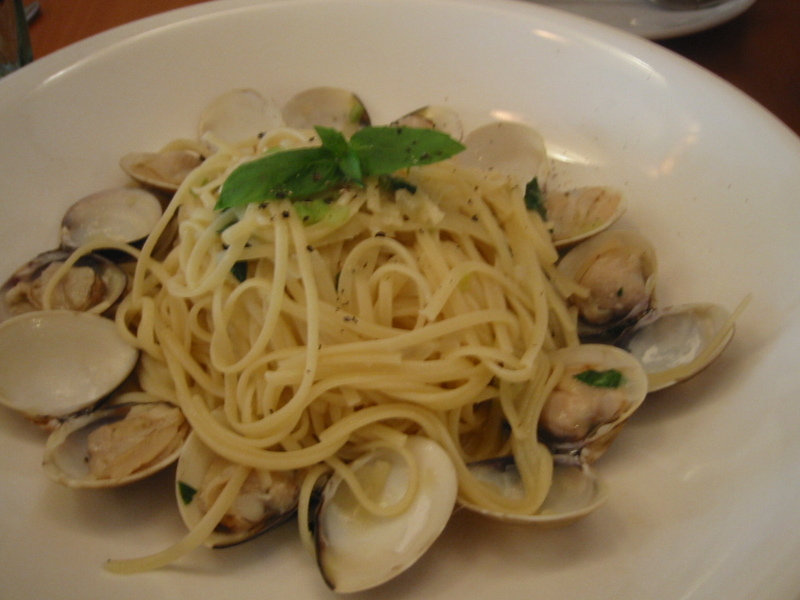 The clam linguine is very simple, but very flavorful with garlic, white wine and olive oil flavors melding together with the slippery linguine and clams. 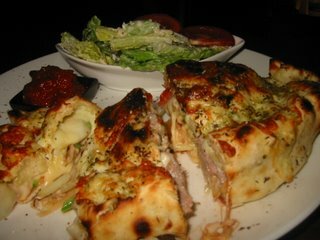 Cosi O Cosi's portions are just right for one, but not enough to share with a group like Macaroni Grill's huge portions. However, you could order an assortment of pastas and pizzas to share if everyone just wanted to have a taste. We have done that in the past quite successfully. Cosi O Cosi's shrimp angel hair is quite delicious as well. The one off dish that I can recall is that their tagletelle had a cream sauce that was too heavy and not enough mushrooms to balance out the dish. Though we didn't order pizza today, I've had it a number of times. The last time I had it was over a year ago, and I was with a vegetarian, so we ordered the mushroom pizza. My notes from that day say, "good. seems like canned mushrooms. crust crispy perfect." I really don't care for canned mushrooms on pizza, or in pasta for that matter. So I will have to try the pizza again sometime soon to refresh my memory and try different toppings. And have more caprese and crostinis. One of the luxuries of living in LA that I miss having in Taipei is delivery and take out. The stereotypical delivery is Chinese food. But the favorite at our house is Thai food. Mmm, satay, pad thai, pad see yew and pineapple fried rice coming to your door while you just tip the driver while wearing sweats that you were too lazy to change so you couldn't leave your house, but you could still order Thai food. If there were a place in Taipei that I wish had delivery service, it would be Mei-Kung. Strangely enough, the signage in English for this restaurant is Mei-Kung, but everyone refers to it as "Mei-Huuh" in Chinese. Either way, it translates to "good Thai food," in my opinion (not literally!). It can be tough to get a table during prime dining hours, despite their two floors of tables, so be sure to make a reservation in advance if you can and don't want to wait long. It is a great place to go with large groups so that you can order more variety of foods to sample. They have smaller tables and larger tables, and their larger round tables can comfortably seat 8-12 people. They even have a set "group" course menu (but I am not sure if this particular set menu is in English) while their regular menu is in both English and Chinese and has lots of tantalizing pictures. On this occasion, we had the set menu for 8 people, with a few alterations and additions. I believe we added or swapped out the satay. This set menu included squid seafood salad, shrimp cakes, fried chicken, crab curry, chicken curry, pineapple fried rice, fish, chicken feet, shrimp pot with glass noodles and dessert/fruit. Also, I usually order Thai ice tea at Thai restaurants, but I find that the Thai ice tea here is a little watered down for me. The squid salad was very fresh and refreshing, with a lime and chili flavor to the squid and cucumbers. 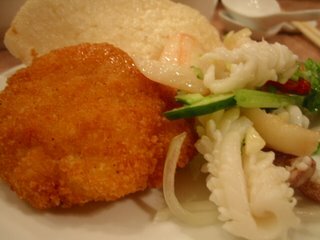 The round shrimp cakes were hot and crunchy, not greasy or heavy at all. I probably prefer and would recommend the triangle shrimp cakes, which feature the same shrimp filling but in a won-ton like skin deep fried and cut into triangle slices. The satay is spectacular. They have chicken, pork or beef, or you can get a combo, which I recommend. 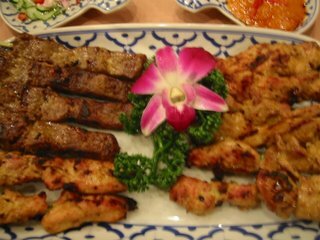 The meat is grilled, tender and especially flavorful. You almost don't need the sweet and spicy peanut sauce to put on top. In case you needed it, they also give you soy sauces and chili sauces with fresh chilis of varying heat to accompany any of your dishes. 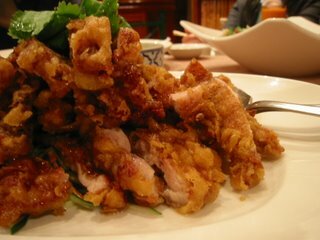 The fried chicken, thai style is unexpectedly delicious. Whoever is frying everything in the kitchen definitely knows what they are doing. Oftentimes, when you are eating something fried, it is either (a) oily/greasy (b) soggy (c) burnt or (d) too tough for whatever was being fried. Mei-Kung's fried offerings, especially the fried chicken is definitively none of the above. It is perfectly crispy, while the meat is tender, juicy and not greasy- it is surprisingly light for something deep fried. The batter and meat have also been seasoned so that it has an addictive slightly spicy salty sweet taste. The chicken quickly disappears from the plate. The shrimp glass noodle pot is, for some reason, something I have been often thinking about eating again since I've eaten it. The noodles have soaked up all the soup, so they are tender rather than chewy. While I chew it, it seems to call to me to have more. 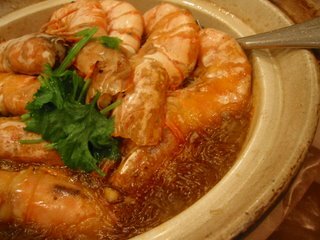 The shrimp is also steamed, flavorful and tender. I actually don't know if they have pad thai or pad see yew here, but this dish make me glad that I've tried something new. The crab curry is a little tough to eat. 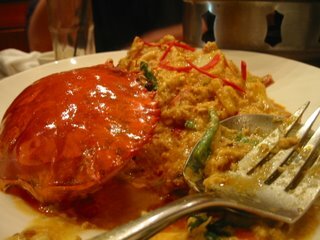 While it is very popular (I saw it quite a number of other tables that night), it features crab in the shell in curry. You'd have to be quite dedicated to de-shelling the crab in the first place, much less de-shelling crab covered in curry. With all the other food on the lazy susan, most of us were not in the mood to attempt it and this dish went mostly uneaten. The chicken curry on the other hand is a more friendly curry accompany your pineapple rice. 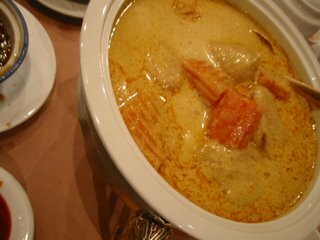 A typical yellow curry with potato, carrots and chicken, the only thing I dislike about it is that the chicken is on the bone (which seems to be the trend with most Thai restaurants here). However, the chicken is so tender it falls off the bone without much resistance and the curry is fairly thick and spicy (and can be adjusted by request). One of the last dishes to arrive (maybe so you don't fill up on it? 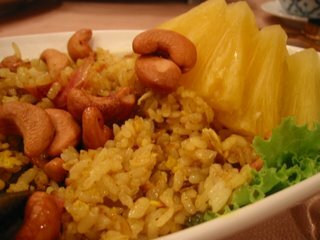 ), the pineapple fried rice has fresh crab, cashews, pinepple and dried pork to top it off. It's dense and reliable, but you've probably too full to have much of it by now. And though we are quite full- we've of course saved room for dessert. 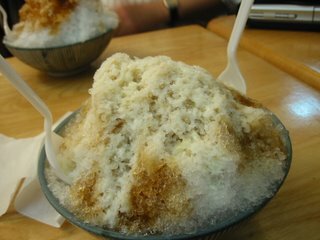 Mei-Kung offers a hot or cold dessert. 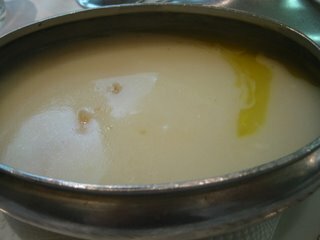 The hot dessert is like a sesame paste soup, which is an acquired taste. 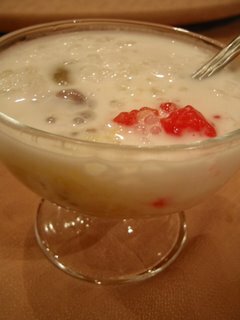 The cold dessert is an assortment of tapioca and starches/jelly in a coconut milk soup with crushed ice. It's sweet and colorful and I can only take a few bites of the tapioca and ice. The unique dessert here is also the green mochi cakes. They are chewy and sweet, but not too much so, and the perfect ending to your perfect Thai dinner. 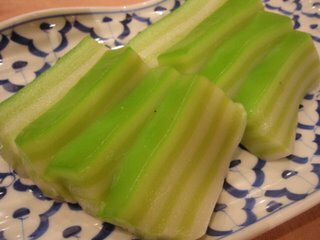 Called Khanom Chan, they multi-layers represent the many layers of happiness. The restaurant has its share of gold statues and paintings to complete your Thai experience and it's ambience is quite talky with many parties of groups and families. The service is relatively fast and they are fairly personable. A visit after this one, we had a baby that was almost asleep, and one server gave us two chairs for him to sleep and a tablecloth to use as a blanket, without us even asking for anything. I was very very touched and impressed with his thoughtfulness, and we've had a good experience with Mei Kung's waitstaff overall being relatively more helpful (or perhaps better trained and managed) than many Asian restaurants in Taipei. I can still hope and dream that they might someday offer a delivery service, but in the meanwhile, I will have to get out of my sweats, make my reservation and head over the the restaurant to eat my favorites. ED 11/9/2006: Sorry Hello Kitty Fans! It seems like the Hello Kitty Patistory is no longer there. I went by last week while in the Eslite Mall foodcourt, and to my surprise the space was now occupied by a store selling furniture. Boo hoo!! Even though I can understand why- people liked to look, but probably not enough people bought stuff to keep it in business. Although I never really bought anything after my initial review because it didn't taste as good as it looked, I was sad I wouldn't ever get the chance to ever again, even if I wanted to. :( .. 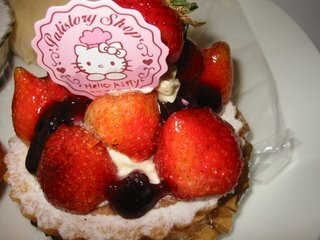 So if you are looking for Hello Kitty decorated cakes, I think there is a place in one of the other food courts in Mitsukoshi malls, but it's not as charmingly pink and packaged like this Patistory was. Wandering around the food courts in Taipei is such an adventure- there is such a wide assortment of foods on just one floor- noodles, curry, steak on hot plates, desserts, drinks, bakeries. So was I surprised to see a bakery full of Hello Kitty decorated pastries and breads and cakes? The adult in me marveled at the marketing/retail genius who decided to extend the brand into food products, but little girl inside me shouted "must try some." I think every little girl must have some memory of wandering through a Sanrio store and picking out a notebook, pencil, stationary or stickers to take home. The same little girls were wandering through this bakery, as well as the ones like me who used to do so, and now had the pocket money and sweet tooth to buy our own stuff. And the box.. the Hello Kitty box you got to take the pastries home in. Anyone who knows me, knows I'm a sucker for packaging. I'll have to take a picture next time of the brightly lit, pink and glossy area. 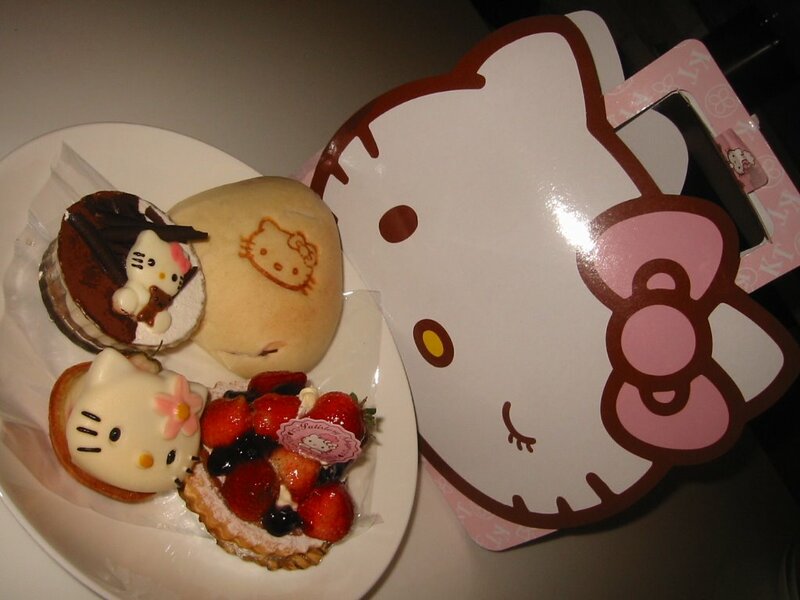 The refridgerator section that held the rows of tiramisu, fruit tarts and white chocolate Hello Kitty toppings, as well as the area with the varied baked breads and cakes with Hello Kitty image burned into them. The strawberry tart (NT$99) is like any other strawberrry tart- sweet little strawberries drenched in jelly sugar, with a crust that is too dense and stiff to eat. The signs in the bakery unfortunately are in Chinese, so I had to ask them what was inside these breads. 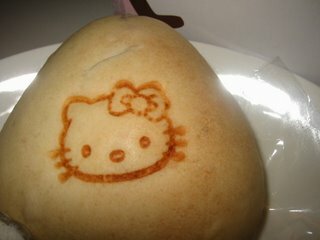 This one had red bean (NT$40). Though the dough is soft, it wasn't really sweet or particularly tasty. The filling inside was a glob of read bean. I didn't finish it and wouldn't try it again. The tiramisu (NT$108) was more cream than cake and the Hello Kitty chocolate on top had no flavor at all. I expected it to be a tasty reward at the end, a sweet piece of white chocolate to savor, but instead it was just pretty display. Maybe for the mold and decoration, they couldn't use chocolate that tasted good? I don't know! But I was extremely disappointed. At least I get to keep the glass container that came with it. This one (NT$108) I gave away, as I thought it was so cute. I'm not sure how it tasted. Was I suckered into it? 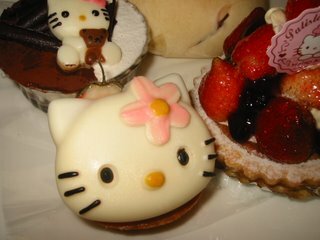 After all, picking out the pastries and bringing them home in the giant Hello Kitty box made me really happy, and the desserts cost no more than the desserts I would try at the other bakeries. I sampled the chocolate and cheesecakes that they had available, which were actually pretty tasty. So I would give it another chance. 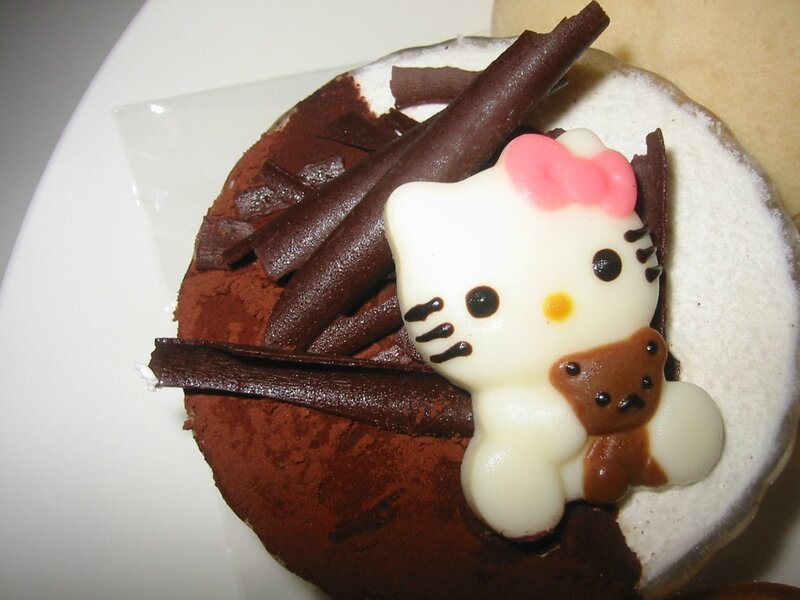 I think they would probably make really cute gifts or party favors, for die-hard Hello Kitty fans, as the presentation is really great. Ever since I found out about Alleycats after hearing many people rave about it being the best pizza in Taipei on a forum talking about food in Taipei, we decided that we had to try it out. So one weekend evening, we called them to see if we had to make reservations or not and they said they probably wouldn't have any tables open until 2 hours later, especially since they didn't want to rush their customers. That was too late for us, but we successfully tried again on the following Wednesday night. I mention the details of this because (1) once we got there, it was pretty packed, even for a mid-week evening and (2) the whole restaurant is basically one room with about 8-10 tables so I'm pretty sure it fills up fast, so (3) make reservations in advance if you want to eat there on the weekend as the website suggests! It really is in an alley, as a lot of these restaurants in Taipei are, so the name is fitting. We called ahead for directions, but be warned even if you do so, they were a little bit backwards for us, but we eventually found it. Once you get to that area, you'll easily spot it from the bright red neon light outside. You'll head down the steps into the basement, spotting the daily specials on the chalkboard. A small bar lines the wall and the hostess is also the cashier. Don't forget to come with cash, as I found out after we got the bill that it's CASH ONLY here. It's dark and a bit smoky (though their website says Mondays are no smoking days), probably 60 percent foreigners, 40 percent locals and mostly adults. Pizza is the specialty here, but they also have calzones, a smaller selection of appetizers, salads, croccante (garlic bread/pizza crusts) and dessert. At their Neihu location, they have pasta as well. While they have a selection of pizzas with chosen toppings, they have a pretty wide list of toppings that you can build your own pizzas, including artichoke hearts, basil, garlic, tomatoes, peppers, mushrooms, spinach, pineapple, chicken, asaparagus, calamari, chorizo, feta, italian sausage, proscuitto, pepperoni, shrimp and sundried tomatoes. This is more variety than the toppings you'd find at Macaroni Grill, and thankfully no toppings like corn (which is popular in Taiwan). We ordered both the Tomato and Basil bruschetta (NT$100) and the Caprese (NT$340). 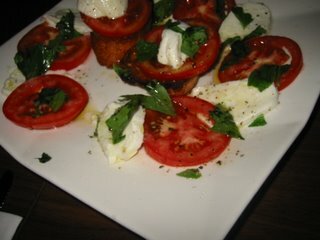 Alleycat's caprese comes with two slices of baguette topped with tomato, basil and buffalo mozzarella, so I actually would probably just order the caprese next time and not the bruschetta unless I had a larger group that needed finger foods. The thick baguette slices were oven-toasted and buttery, which gave a satisfying crunch to accompany the sweetness of the tomatoes and cheese. 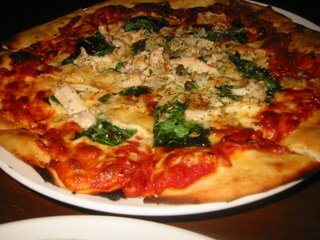 We decided to get the 12 inch/Large pizza of day which was chicken, spinach and brie (NT$400). I asked them to add mushrooms as well. 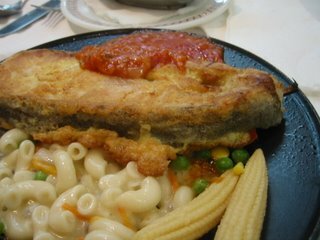 We also got a Capriccioca calzone (NT$420) that had sausages and vegetables in it. Alleycat's pizza is probably the first one Taipei that I've eaten where the pizza was so hot, that the mozzarella cheese did that stringy bubblegum-like stretching, as we pulled the slices from the plate. The toppings circled the center and spiraled outward and stopped about three quarters of the way out where there was just sauce and crust. The marinara sauce was a light foundation, and the thin crust was crispy, just like the kind of pizza you might get in a neighborhood pizza hangout back in the states. The part of the pizza where it's just sauce and crust tended to bit a bit drier and not as flavorful. Their coke (NT$50) also comes in the classic coca-cola glass bottle, which is a nice touch. A couple bites in, I realized my mushrooms were missing. I also didn't really taste any Brie. 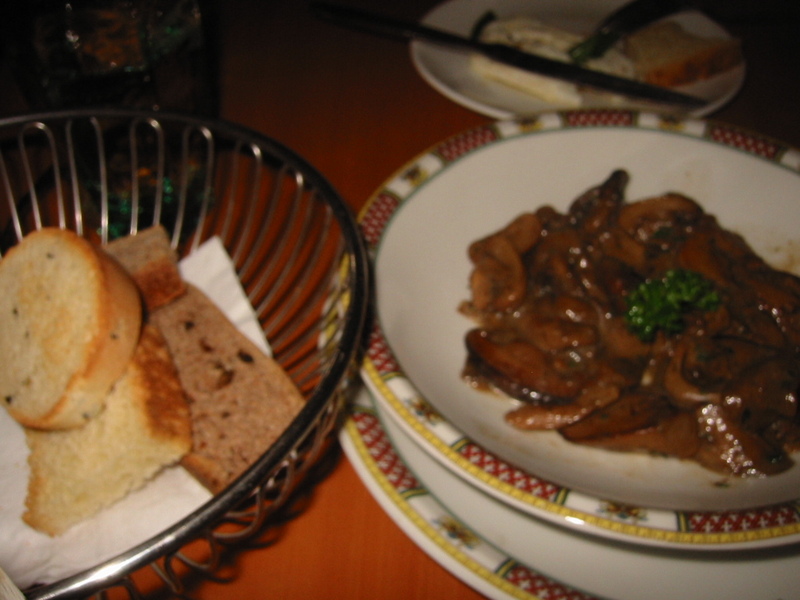 While I did get the mushrooms taken off the bill (after asking twice), I don't know why I didn't also ask about the Brie. I guess I figured the Brie melted into the cheese, though Brie usually has a pretty distinctive taste. I bet it would be great to get a big group together and order a bunch of different pizzas with different toppings to share. The calzone was huge- definitely big enough to share. The crust is softer and chewier than that of the pizzas, but still has the crispy oven baked quality. The dense fillings inside spilled out as we cut it. The cheese was not as hot or melted as the cheese on the pizza. The calzone also comes with a little side of caesar and marinara sauce. Once your food comes, they pretty much leave you alone, although the place is small enough to wave down someone if you need more water or something. The service is friendly, but not overly attentive. On their website, they say they have live music on occasion too. It's open quite late on the weekends, so it's probably a fun place to go for a late snack. Their Li Shui location is only open for dinner but their Neihu location is open for lunch and dinner. The important test was that the leftover pizza still tasted great the next day- even cold out of the fridge. The prices are very reasonable for the quality and portions you are getting, especially being a "specialty" food in Taipei. 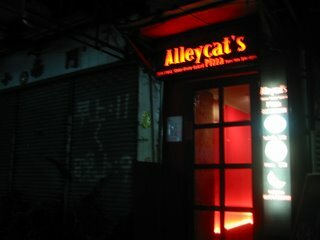 I've also heard that the owner of Alleycats opening another Italian restaurant right next door, called The Italian Job. So I'm looking forward to trying that out, as well as going back to Alleycats. Finding VVG Bistro is like finding a secret - it's one of those restaurants tucked into a alley lane off a main street, there is no signage declaring the name of the restaurant, and there is a garden-like deck patio out front, so that you might miss the entrance to the restaurant. Inside it's like as if someone from MOMA created the interior design- plastic wavy lights deck the ceiling, cardboard sculptures line the walls, usually there is jazz or pleasant ambient music in the air. The food is usually very, very good, or VVG, but I have to admit that in my most recent trips there, I have been more increasingly disappointed. Is it because the owner opened another restaurant a few doors down, VVG TABLE, and splits her time to the detriment of both places? Or is it because they change their menus with the seasons and I have to rediscover what I like? Honestly, I think it was I wasn't in the mood that day for their leisurely service, which seemed to be at a s-u-p-e-r s-l-o-w snail's pace that afternoon. The menu changes every few months and features a few appetizers, soups, salads, some pastas and meats and desserts. Their food is always beautifully presented and encouraged to share family style, though the portions are smaller than you would find at an American style restaurant. 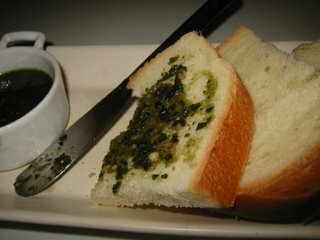 When we sat down, we requested their pesto and bread (NT$60) to start, which features fresh pesto and toasted bread. Even though the restaurant was virtually empty, it took them awhile for it to get to our table. The pesto is pretty addictive, with the basil, garlic and olive oil mix that is the right combination of each to spread on your warm slice of bread. 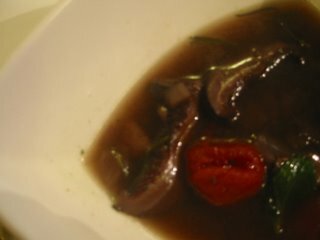 In past visits, I really enjoyed their mushroom soup, which was like a buttery puree of mushrooms that melted in your mouth. 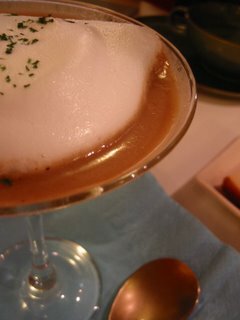 This time, the soup looked beautiful - presented in a martini glass, but tasted sourly bitter. The server said that it might be the cognac and the new type of mushroom they were using that I was tasting, instead of the old version that I was used to, which had been served in a cappucino cup. So instead she offered to replace it with the tomato soup which actually was a hearty tomato mushroom broth soup with lots of different mushrooms in it, including shiitake, porcini, oyster mushrooms. 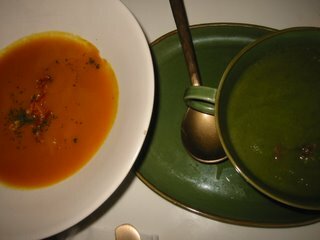 Their soups (NT$150-180) are typically pretty good- so my friends' pumpkin and watercress soups were very tasty as well. Flavorful, not too creamy or watery, but colorful and pureed so that you wonder what different elements went into making such a good tasting soup. 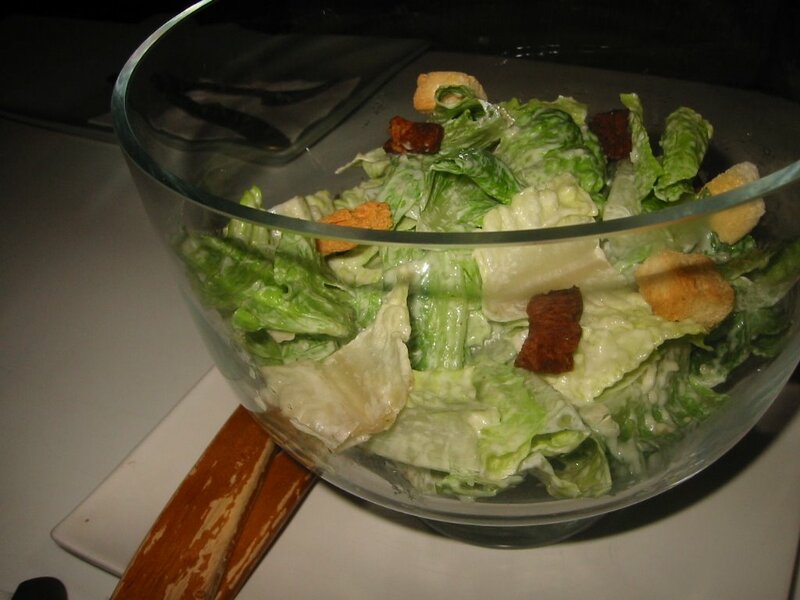 The caesar salad (NT$280) comes in an oversized clear bowl and is enough to share with 2-4 people. 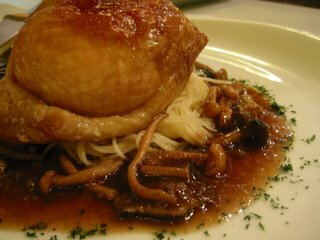 My favorite main dish is probably the roasted chicken dome (NT$540) though this time it was stuffed with water chestnuts which I don't like. The baked chicken is tender and juicy and the skin is crispy. It was served with angel hair and a delicious pile of mushrooms and mushroom sauce. After this visit, it was still VVG. The roast duck leg (NT$520) was also roasted, though not as tender as the chicken. It came with a tiny side of green tea infused rice, which was bit on the dry side. 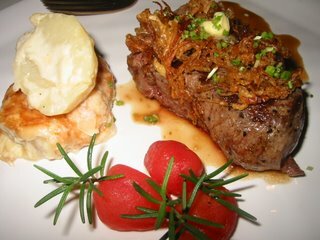 The filet mignon (NT$750) was very soft. I do not frequent French food often, so I don't know if this just the way that filet mignon is served or if it's the beef they have here or if it's the medium rareness of it? Anyways, I find it mushy for steak which was also the case with my experience at Bolero which is also a French restaurant in Taipei. Hmmm. Perhaps more seasoned French cuisine eaters can shed some light for me? Someone in our party had the lemongrass linguine (NT$320) which I had a small bite of it. It was very citrus and light, which the pasta had a good bite. It came in a deceptively wide and deep plate bowl, which made the portion look small, but it was actually a healthy amount of linguine. The desserts also disappointed this time, perhaps because the open kitchen took away the mystique of it all. I saw them heat up the rice pudding (NT$120) in the microwave, and it wasn't even that warm when it was consumed on the table. 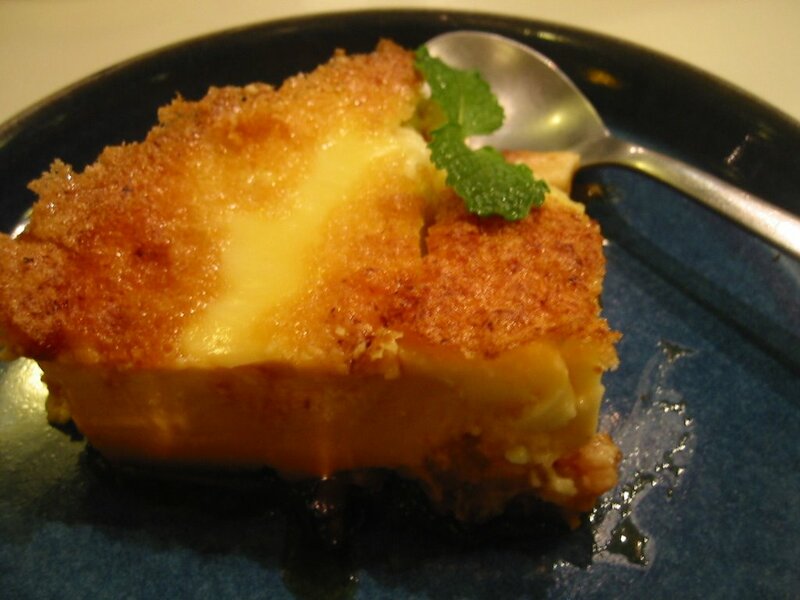 It was like a dense custard with soggy carmelized rice krispys on the bottom, and the top looks as if it should be crispy, but it is not. 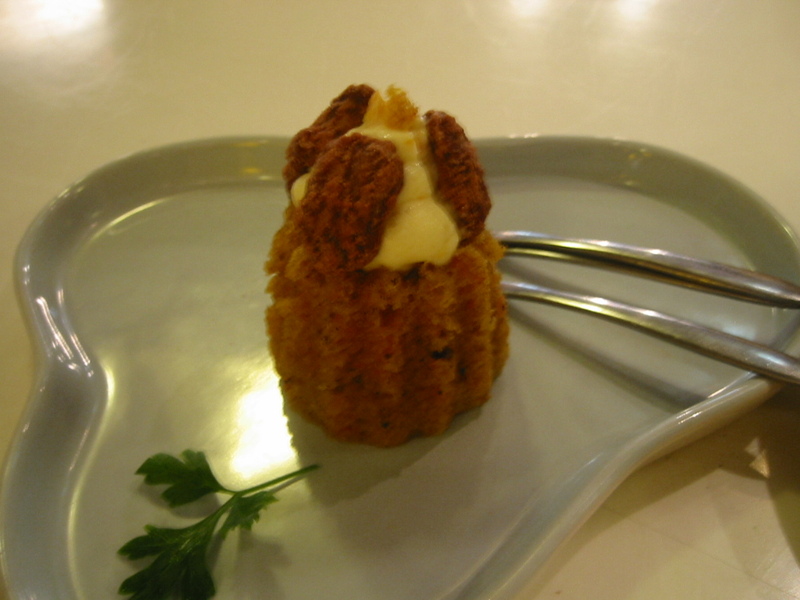 The carrot cake (NT$180), while topped off with fresh cream cheese frosting and was tasty, it was TINY. Smaller than a cupcake and definitely not worth the price they charge. But the candied walnuts on top and cream cheese frosting left you wanting more. Again, I was unhappy with the pace of service that day. Not with the time the food came to the table because I know that takes time to be prepared, but before and after our meal, we had to wave someone down and ask three times for our check. Because the restaurant was not close to being crowded the day we went and they have an open kitchen, I expected decent servcice. I could see other workers busy with kitchen duties, who were very non-attentive and maybe it's not their job to serve us, but if there is only one server and she has disappeared then they should keep an eye out for their customers. There is one person who usually serves us and she is very good, but when she's not there then expect to wait. If Grace, the owner is there, definitely get her recommendations. They have a weekend brunch, but I haven't tried it. I have tried the brunch at their sister restaurant, the newer VVG Table, and it's definitely worth the trip out to find it. 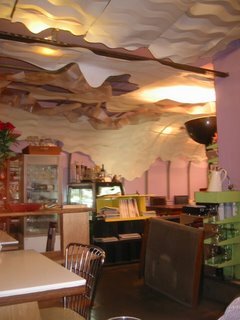 We used to take a lot of people here to enjoy the atmosphere and food, especially since you wouldn't typically expect bistro food like this in Taiwan. As I said, finding VVG Bistro is like having a secret, but once you know, it's up to you whether or not you want to tell anyone else. The people "in the know" about VVG Table's sister restaurant, VVG Bistro, have probably wandered over to VVG Table to try it out. Lunchwise- I prefer VVG Bistro's roasted chicken dome over my VVG Table lunch of beef bourguignon and something or other chicken when I last went. I don't know if it was an isolated event that I didn't enjoy much of the heavy flavors during that lunch or if it was because I had just gotten over a case of the stomach flu the day before and my tastebuds were still recovering. However, I thoroughly enjoyed my brunch experience at VVG Table, especially knowing how hard it is to find a good Western style brunch or breakfast in Taipei. 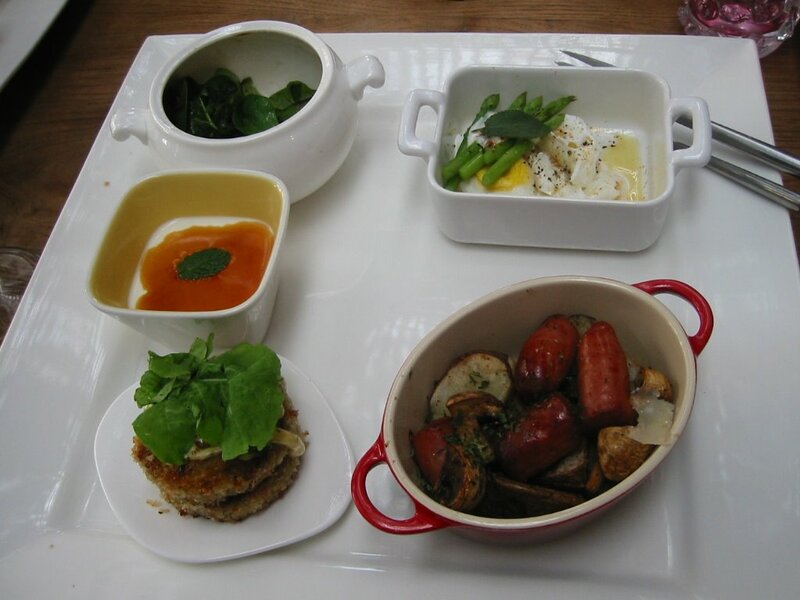 There is a set course menu (NT$520) which includes: a small salad, poached eggs with steamed asaparagus, cut roasted potatoes and sausage, crabcakes, avocado milk and a panna cotta with caramel sauce- all served on one tray. Everything was fresh and delicious. The mixed greens salad was lightly dressed with a vinagrette. The poached eggs tasted as if they were timed just perfectly and a great accompaniment to the potatoes and sausage. 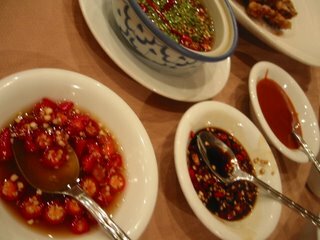 Eating the steamed asaparagus made me feel healthier. The crabcakes were flaky and soft, with more crab than crumbs, lightly grilled to a crispy tender pair stacked on top of each other. The avocado milk was not my thing, despite the urging of the others in my party who readily sipped theirs down. The panna cotta was a sweet and creamy ending to the perfect brunch. The weather was nice enough that we sat outside, at the long bench with pillows to sit on which was a good choice in retrospect. Inside, the long tables and chairs create a more dark, formal woodsy interior compared to the lavendar, modern art interior of VVG Bistro. My friend was eating vegetarian that weekend, and they aptly accomodated with a vegetarian set course, which switched the crab cakes for pumpkin cakes and omitted the sausages from the roasted potatoes. I also ordered an apple cake dessert to go, would have probably been tastier there. The caramel sauce on the side dripped through the bag, and the very dense cake may have benefitted from being heated. Next time, I will probably try the berry dessert that I spied at another table. I would definitely recommend brunch at VVG Table and would definitely come back and bring friends. The red and gold sign at the entrance as well as the menu inform customers that Bolero opened in 1934 and was the first Western style restaurant in Taipei. My grandmother invited me to lunch here because my grandfather used to enjoy the Set "A" dinner course when he was younger and bring her and the family here. We are seated upstairs where at first it's quiet and empty, but as the lunch hour progresses, lots of families and couples fill up the tables. The interior features interesting sculptures and different artwork and textures on the walls. Hot buttery rolls on the table are devoured quickly. 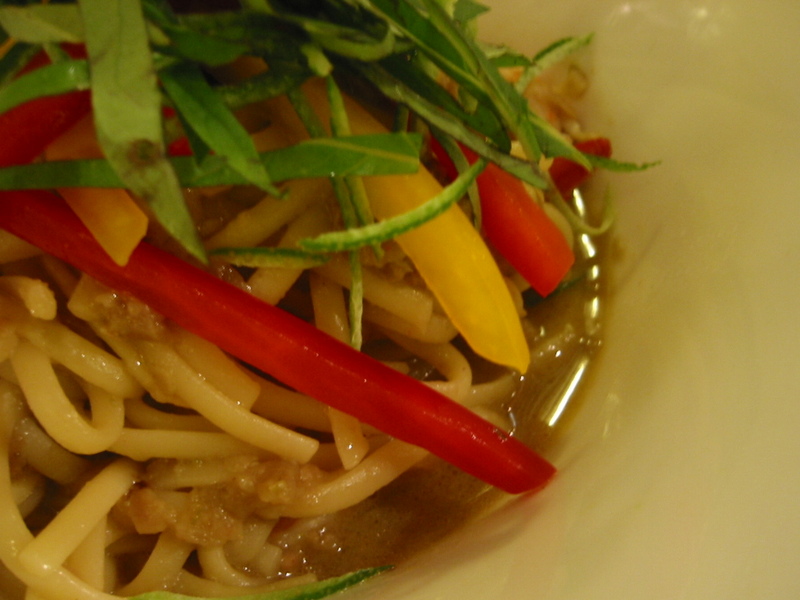 The English and Chinese menu has an introductory story about the restaurant and features a few set courses, soups, poultry, meats, seafood, some pastas, even some curry. I order the "Lobster and Steak" set course (NT$900) which includes a starter appetizer salad, soup, lobster and steak, a mysterious orange cocktail, and coffee/tea. 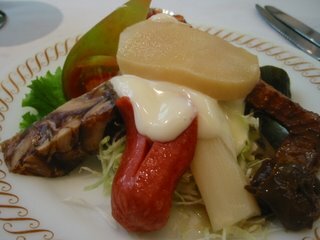 The appetizer salad is a interesting combination of various meats and vegetables topped with mayo. After slowly sampling the plate, I enjoy the abalone, the asparagus and the potato salad that is hidden underneath. The soup is a watery cream of abalone soup, which has chunks of abalone but a unmemorable taste with its semi-watery, semi-creamy texture. The black pepper on the table helps a little bit, but not much. The baked half lobster is a decent size, but it turns out to be pretty dry and bland, perhaps baked a little too long. You know when you eat really good lobster and you feel that satisfaction of chewing- it's juicy and tender. This wasn't it. It was a bit rubbery and tough with rubbery cheese on top. 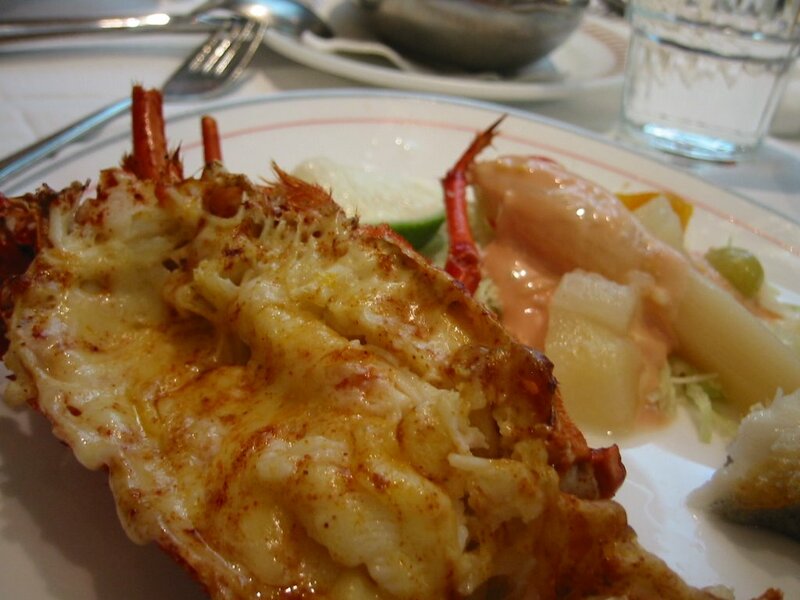 The cheese gratin on top seems to be lacking seasoning and after sampling my aunt's baked jumbo shrimp- I think that perhaps that set course is a better deal at NT$800 as it is a little bit more flavorful and tender than the lobster. The plate also comes with a small side of a strange combination of asaparagus and fruit cocktail. By this time, the large party complete with kids and babies next to us are getting their meals- and it seems like everyone has ordered huge steaks on the hot plate. I can hear it sizzling and everyone digging in with their forks and knives. I'm getting excited about my steak part of the meal. 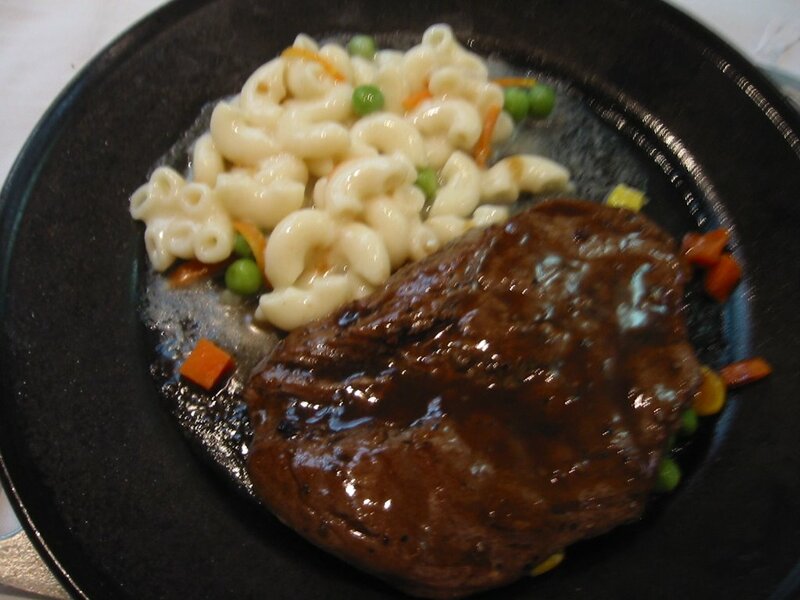 When it does, I grumble to myself a little bit at the size- it's tiny compared to the steaks that the other tables have ordered because mine is part of the combination set course, but at least it still has the macaroni pasta on the side. Unfortunately, the steak is just mushy. I don't know what it is about it- maybe the cut of the steak or the rareness? But I don't recall having steak typically so soft. The macaroni is bland too- not much cream or cheese, and it's cooked so the pasta is very soft. I'm confused after eating my meal. Isn't the set course combination supposed to feature the 'best of' what the restaurant has to offer? Is the steak at the other table mushy too or is that the way that Taiwanese people like steak or is just the steak that is part of the combo? Did I just order the wrong thing? 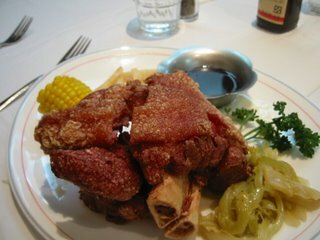 My samples of my friends' dishes are actually tasty- a huge pig's knuckle that is tender and crispy and the sauteed fish that is also tender and tastier than it looks. The restaurant is very busy at this point, so they obviously have maintained an audience since being established so long ago. Or is it simply, as the menu states, a place that people bring back their grandchildren and great grandchildren? The meal ends with a choice of coffee or tea and some mochi almond tofu. I had a pleasant time with my family and I'm glad to have visited one of my grandfather's favorite restaurants, but I probably would not return on my own. 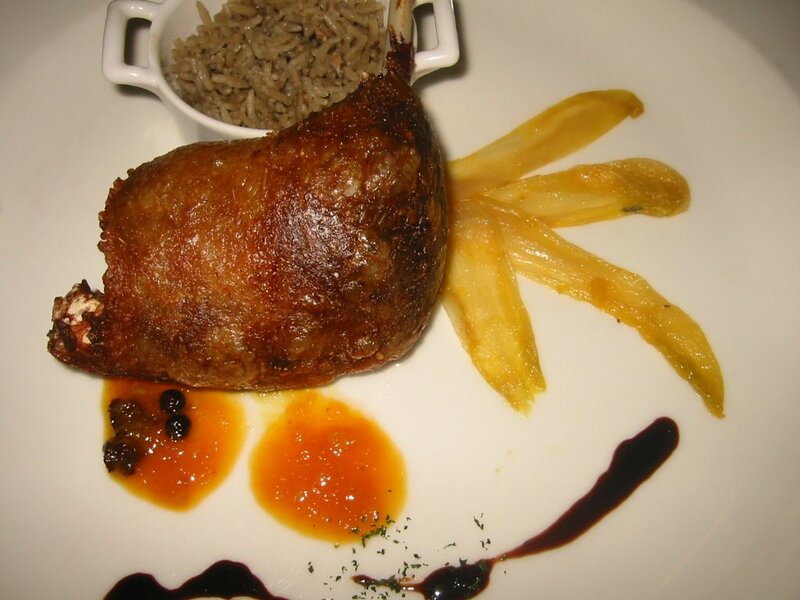 If I did, I'd probably order the pig's knuckle and stay away from the set course or the shellfish. It's kind of cool to see a restaurant that has been around for so long and was probably very popular for Western food in Taipei when there weren't that many selections back then. But now with a plethora of American or Italian restaurants around to choose from, this restaurant seems like a place to visit only for nostalgia's sake. P.S. Here is a Taipei Times article about Bolero suggesting a similar sentiment. P.S.S. down the street, a few blocks away, we had some delicious shaved ice. They also have do-hwa/soy tofu there. They use brown sugar as a syrup which gives it an interesting caramelized taste.